Atempora, which transcends time, is a renewed anti-ageing line of multifunctional products, created to fulfil the various requirements relative to skin ageing. 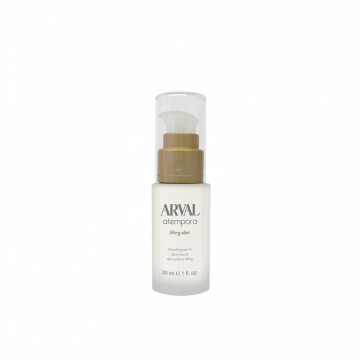 The Swiss laboratories of Arval, always one step ahead of the market in creating highperformance, top quality formulas, have developed four special antiageing products to accurately respond to the various needs of the epidermis. 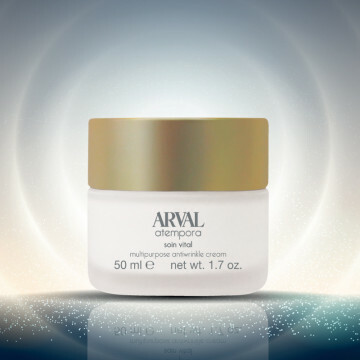 As with all the products in the Arval lines, excellentì quality active ingredients have also been selected for Atempora, and when combined with the guarantee provided by Swiss technology, these result in the development of functional products for counteracting and delaying the effects of ageing and keeping the skin’s beauty intact. 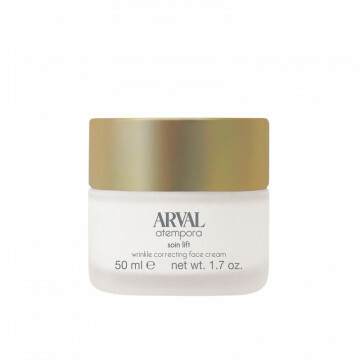 The modern textures, silky to the touch and easy to blend into the skin, make Atempora a valid cosmetic ally for all the problems linked to loss of tone, signs of skin ageing and dull complexions. Atempora disregards the incessant passing of time, leaving the skin nourished, and always radiant and smooth. Atempora, for an overall, timeless beauty. The line features four special products, which can either be used alone or combined to optimise and enhance their effects. Soin Sublime, is a light enveloping cream designed to restore the tone and the compactness of the skin to create ageless beauty Actions And Effects The presence of specific act..